The Consumer Electronics Show recently wrapped up in Las Vegas, but the buzz around the innovations and the new level of connectivity in our lives continues. While 5G was certainly top of mind, the conference was really about making it easier for consumers to use and connect with technology in every aspect of their lives. There were solutions for tracking health and fitness, smarter home assistants, bigger and more flexible TVs, and better connected mobility. 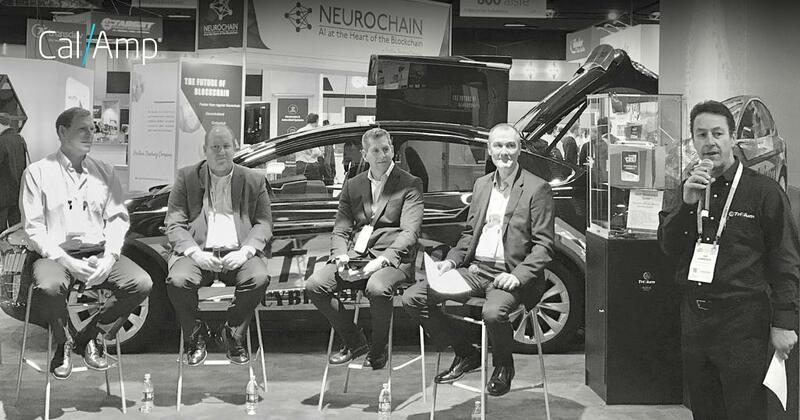 CalAmp and LoJack® were there supporting our partners exhibiting solutions leveraging our telematics and IoT technology. Safety was one of the key themes in three CalAmp and LoJack-enabled partner solutions rolled out at CES. 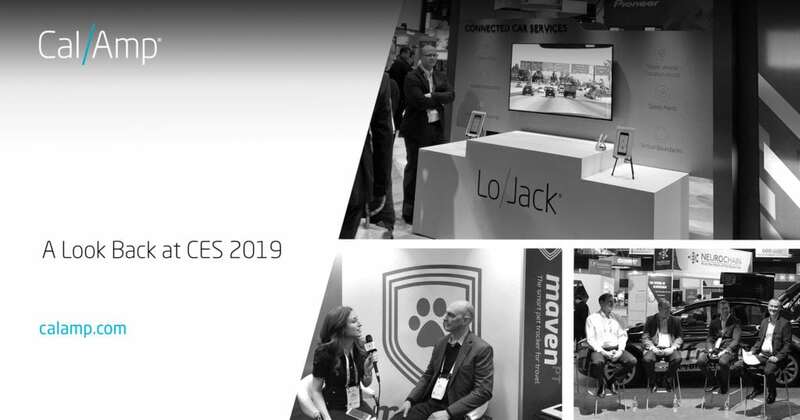 Pioneer Electronics introduced rDrive powered by LoJack for enhanced vehicle connected services. This aftermarket solution allows consumers to protect their vehicles with LoJack Stolen Vehicle Location Assist and access safety services such as CrashBoxx™ crash detection and LoJack Command Center live agent support for emergency services. It provides peace of mind to millions of consumers by enabling them to upgrade their existing vehicles with features that were primarily only available in new vehicles. OjO Electric wants electronic scooter ridesharing to be safer, organized and sustainable. The popularity of e-scooters continues to grow, yet municipalities are dealing with damaged and abandoned assets strewn across their cities. With CalAmp telematics and Premier Wireless Solutions cloud platform, deployment and management of this first- and last-mile transportation option is streamlined with access to location, geo-fencing areas of use and battery status. To learn more about how OjO is collaborating with municipalities to reduces urban litter, keep citizens safe on the roads and reduce traffic congestion, read our joint release. CargoSense displayed their new MavenPT solution at CES that focuses on the safety of our pets and show animals when they travel by air. Powered by CalAmp’s disposable smart sensors, it provides information on location and environmental conditions that might have impacted the pets while in transit. Discover more of this solution’s key features in our press release. Additionally, our Director of Product Management for SaaS, Frank Schneider, shared his thoughts during the Trillium Secure Fleet Management panel, Monetizing Trusted Fleet Services, on January 9th. If you missed the presentation, you may access it here. These advancements are additional links in the connected economy. CalAmp, LoJack and our partners are powering them through our technologies and solutions that generate the communication and data needed to make business-critical decisions, boost productivity and improve safety. In the next few months, we will have even more exciting news about simplifying complex connections to provide easier access to the IoT ecosystem. The latest Mobile World Congress (MWC 2018) may have recently wrapped up in Barcelona, but we’ll all be talking for a while about the eye-popping advances around connectivity, real-time analytics and data in motion.